Here is the chocking story of how a man helped in creating a 5 year sentence inside Concentration Camps for anyone stating stairs are dangerous and can even kill. And here are those ludicrous stairs existing at Crematory 2 and 3 at Birkenau. Think of all the people falling down those stairs! Then think about what would happen in winter. 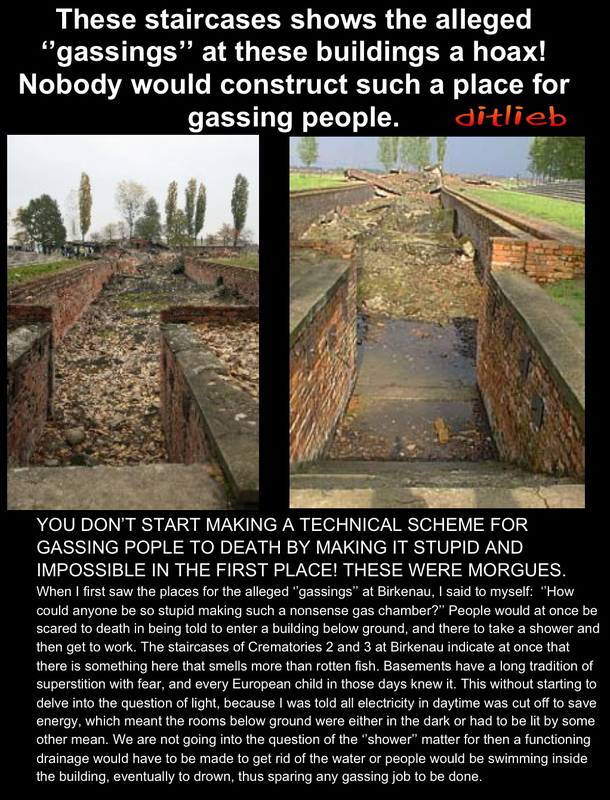 Little wonder why Birkenau was such a hard place to sell for a ‘gas chamber’. And no wonder why no Revisionist would buy it. 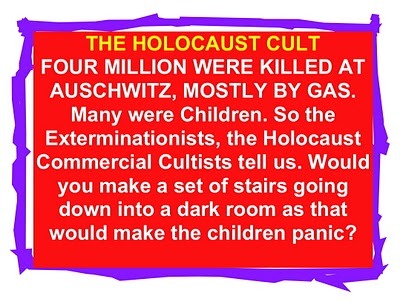 That is the difference between Exterminationism and their Holocaust Extortion Cult and Revisionism. It is between fact and fiction. 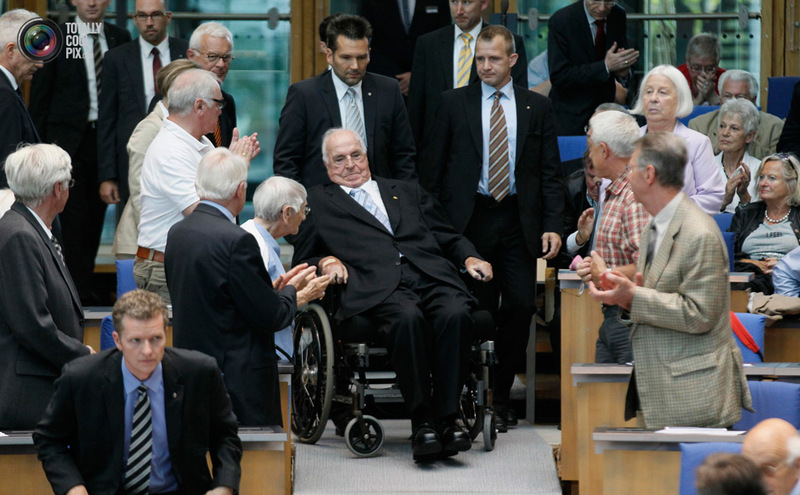 Picture above shows Helmut Kohl in a wheelchair serious injured from his fall off the stairs. Now his wife, Maike Kohl-Richter, age 50, takes care of him. Helmut Kohl fell from the basement stairs, those of the type existing at Crematory 2 and 3 at Birkenau. He can only speak with difficulties today. SOURCE: Bild, 2 June 2014:2. Recording error: Year of Helmut Kohl’s stair fall was in February of 2008.